Information is powerful so it’s important the public sector know their privacy responsibilities. This will allow agencies to shift from simply complying with the legislation to embedding a culture that protects and respects personal data. We are also encouraging the community to value their personal data and learn more about their privacy rights. 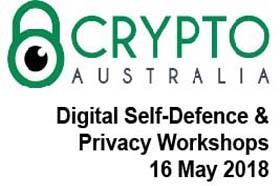 We will launch a range of new resources leading up to and during Privacy Awareness Week 2018.